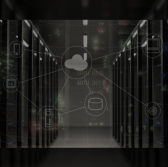 Dell EMC has modernized and integrated some of its applications into VMware’s cloud environments to help businesses refine their operations and accelerate the pace of their information technology modernization projects. Dell said Tuesday it augmented its VxRail appliance for streamlined networking deployments with hyper-converged infrastructure systems, as well as continued automation for VMware cloud stacks for quick cloud environment deployment and management operations. The modernized VxRail offering also allows transparent systems management with tasks presented from the VMware vCenter Server console, and further secure integration with modern VMware Cloud technology, among other things. Dell also introduced the VxBlock System 1000 to consolidate awareness, automation and analytics processes to simplify converged infrastructure operations, as well as a range of S5200-ON top-of-rack open networking switches to meet in-rack and storage network traffic demands. The company additionally provided integrated cloud platform options in its Cloud Marketplace for the advancement of IT modernization and digital transformation processes. Dell EMC and VMware continue to increase the capabilities of VxRail and VxBlock System 1000 to automate integrated cloud platforms and help customers fully take advantage of their data, according to Jeff Clarke, vice chairman of products and operations at Dell. Dell will launch its new VxRail offerings online within the month for existing customers and in December for new node deployments and expansions. The Dell EMC VxBlock Central software will also be released for download in December.